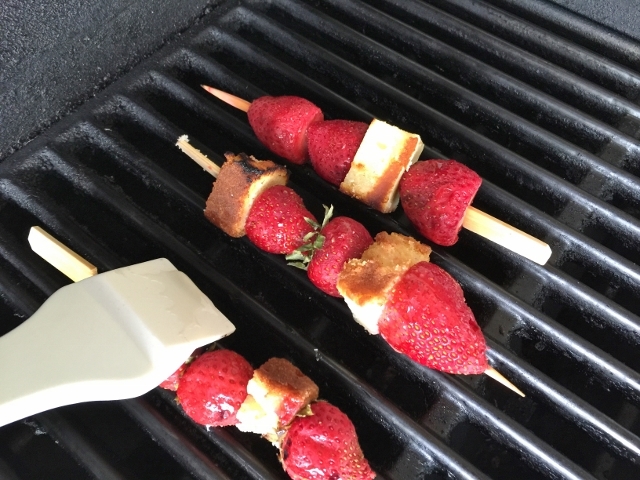 Grilled Strawberry Shortcake Skewers - Recipe! - Live. Love. Laugh. Food. 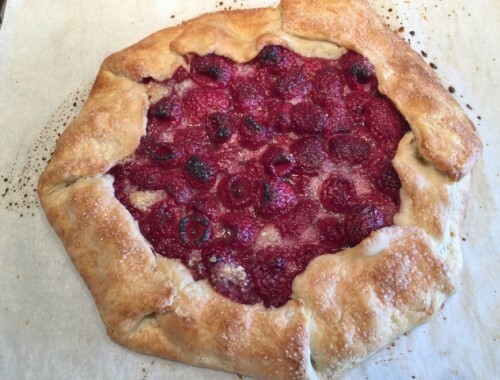 Strawberry shortcake is a summer favorite, but sometimes it is fun to create a twist on tradition. You can either use leftover Vanilla Bean Pound Cake from a previous dessert or bake a fresh one. Then, simply dice the cake up and assemble the skewers with some fresh strawberries. If you pressed for time, you can buy a pound cake from the grocery store for convenience. 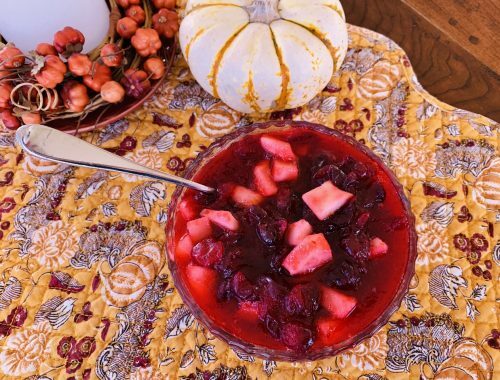 A little diced cake, skewered between fresh strawberries and brushed with honey syrup and it’s dessert. 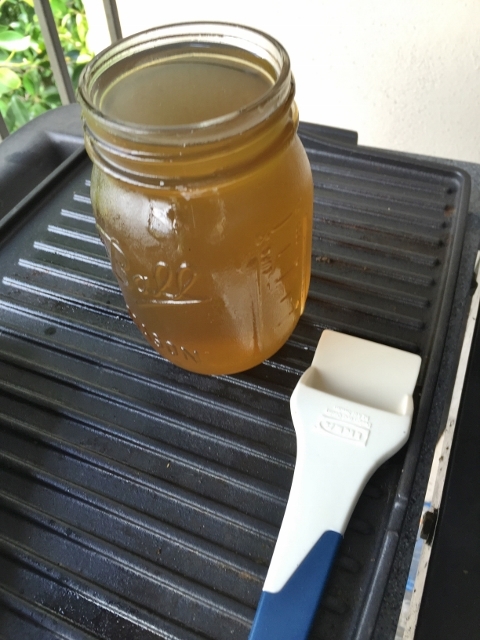 Honey syrup is honey, cooked down with water, to make a nice slightly sweet glaze to brush on the skewers. 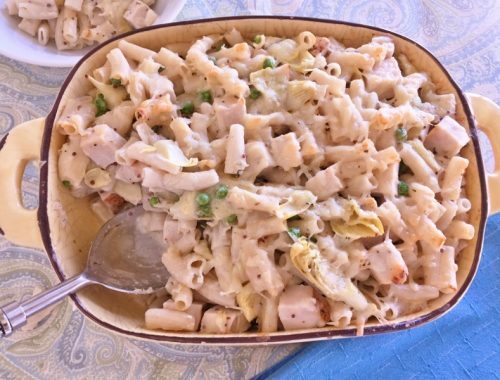 You can grill the skewers at a barbecue or outdoor party for an easy summertime dessert. 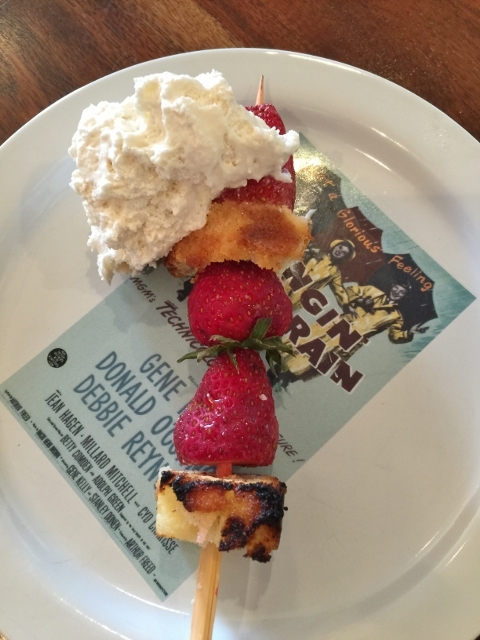 Don’t forget the dollop of whipped cream to complete these Grilled Strawberry Shortcake Skewers. 1. 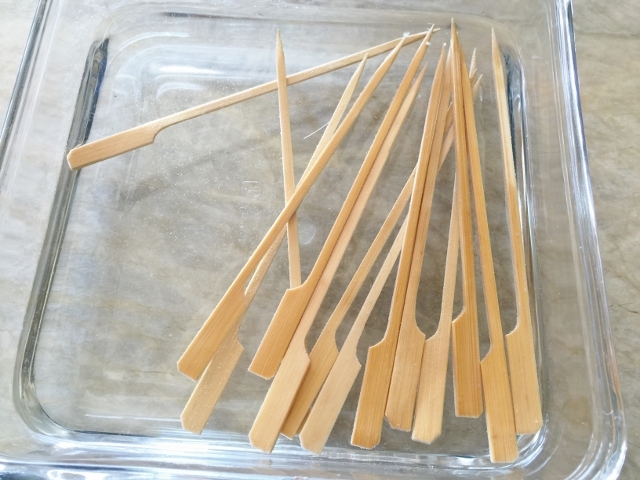 Soak skewers in water for 2 hours prior to assembling. 2. 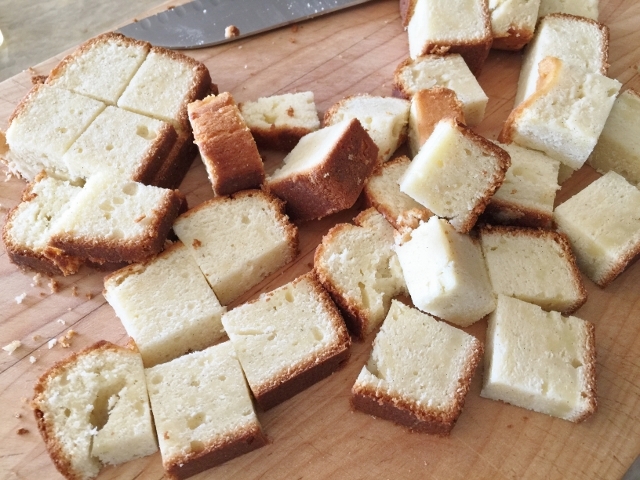 Drain skewers and slice pound cake into 1-2 inch chunks. Wash and dry the fresh strawberries. 3. 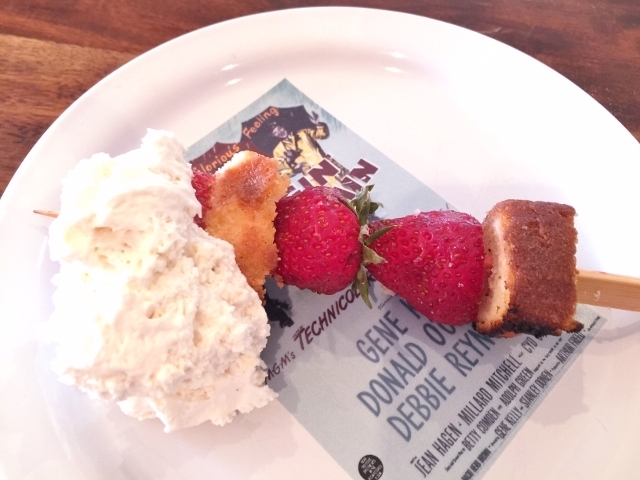 Create the skewers by putting one piece of poundcake followed by a fresh strawberry and repeating at least 3 more times, but feel free to make them as long as you like. 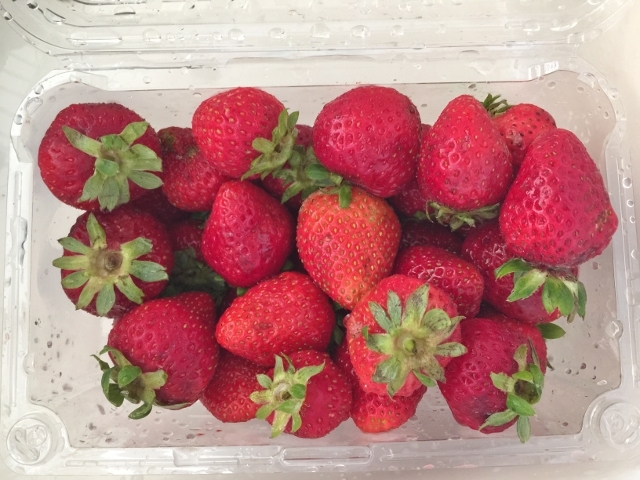 You can hull or remove the tops from the large strawberries, but the smaller ones you can leave the greens on top. Heat the grill to medium-high heat. Place the skewers on top of the grill and cook for 2 minutes. Brush the kebabs with honey syrup and flip to grill the other side and brush with syrup, about 2 minutes. 4. Whip fresh cream with a little sugar for a creamy topping and plate the skewers. Dollop the cream as desired. Enjoy!